Coconut Nursery welcomed me with a hot cup of tea before storytelling to their babies and toddlers. I felt right at home! For their Black History Month celebrations I re-told the story Jamela’s Dress by Niki Daly. The story is set in Cape Town, featuring the words ‘Kwela’ throughout which refers to the popular South African penny whistle music. 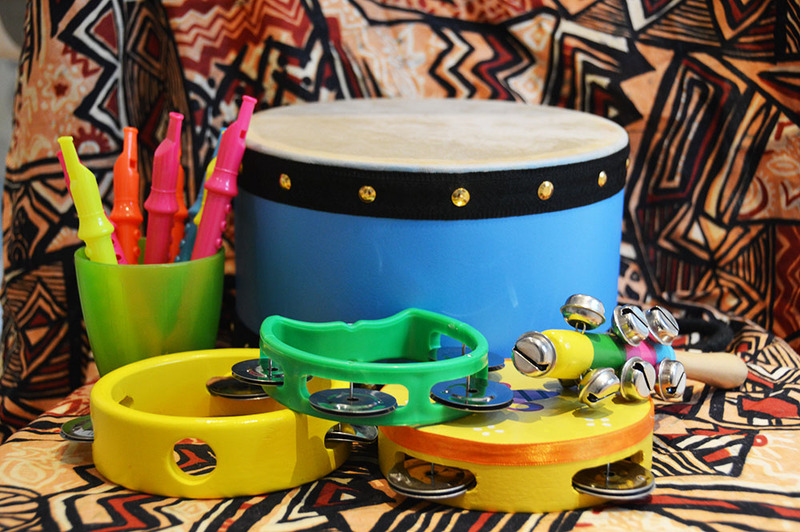 To get the children involved, I played some lively Kwela music on my Jam pod and gave them each a toy penny whistle to blow whilst we acted out a couple of the scenes. It went down a storm and they caught on to their new word ‘Kwela’ which we all yelled at the top of our lungs.